Realtor Julie Fisher knows she doesn’t sound like she’s from Chattanooga. A native of Chicago, her voice lacks even a hint of a Southern accent. “Can you tell I’m not a Southerner?” she asks, laughing. Her Northern enunciation renders the question rhetorical. 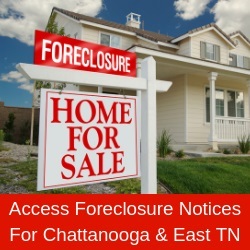 But Chattanooga is home to Fisher, who’s raised a family, diligently served her community and carved out a career in real estate during her more than 25 years in the city. Before coming to Chattanooga, Fisher earned an economics degree from DePauw University in Greencastle, Indiana, and then returned to Chicago to work as an insurance broker with Marsh & McLennan. Having enjoyed the challenges of sales and marketing, Fisher continued her career with American Hospital Supply Corporation in Dallas, where she trained new sales representatives in the western region. She married and started a family while living in Dallas. In 1989, Fisher’s career shifted when her family moved to Chattanooga, where her husband had accepted the task of starting a kidney transplant center at Erlanger. Fisher chose to stay at home and raise her children, which at the time included only her son, Daniel. Two years after moving to Chattanooga, Fisher gave birth to Morgan, a daughter who lived only five days. Although Fisher had a normal pregnancy and birth, Morgan contracted an infection that attacked her lungs. While Fisher was recovering in Chattanooga, Morgan was transported to Vanderbilt University Medical Center for critical care, which proved unsuccessful. The experience had a profound effect on Fisher, who in the years that followed became an impassioned volunteer of Ronald McDonald House in Chattanooga, which provides a place to stay for families with children who are being treated at nearby hospitals. “I was still in the hospital while Morgan was in Nashville, so I came to understand the importance of parents being close to their critically ill children,” Fisher recalls. Fisher’s second daughter, Katie, was born 18 months after Morgan’s death. While caring for her two children, Fisher became devoted to the Chattanooga community, volunteering and serving on the boards of Ronald McDonald House, the Chattanooga Hamilton County Medical Alliance, the Chattanooga Medical Foundation and the Chattanooga Nature Center. Fisher also became co-president of the Medical Alliance and chaired the capital campaign that added 13 new bedrooms to Ronald McDonald House. In addition, she also volunteered at her children’s schools, church, the Junior League of Chattanooga and the Garden Club of Lookout Mountain. A friend suggested real estate. Fisher says she believed her strong sales and marketing background would be a good fit for home sales and registered for the required licensing class. Completing the course and passing the state exam wasn’t easy but she made the grade. The learning continued after Fisher went to work. She chose to join Herman Walldorf & Co. as a residential Realtor and labored learned from the agent who suggested she go into real estate: her friend, Graham Burns. Earlier this year, Fisher was ready to enter a new phase of her profession and reached out to several brokers in the area. She chose Vicki Trapp at Crye-Leike Realtors of Chattanooga. As Fisher approaches the five-year mark in real estate, she still finds herself learning new things – and reaping the benefits. After learning about boosting Facebook posts in a recent digital marketing and social media class at the Greater Chattanooga Association of Realtors, Fisher tried her hand at reaching out to a wider group of people and wound up selling a property to someone in Atlanta. Now, when Fisher boosts posts, she expands them to users in Nashville, Knoxville and Atlanta. “You have to learn the marketing piece, which doesn’t come naturally when you’re 59, even with my experience,” she adds. Fisher has learned a few things the hard way – outside a classroom and the comfort of a mentor, in the real world. She says handling a buyer’s disappointment when a house didn’t appraise for the expected value was one of the toughest lessons to learn. Tough lessons aside, Fisher says she loves her new career because of the people she meets and the way she’s able to help them transition to a new stage in their lives. Fisher also enjoys the variety of experiences real estate affords her. “Nothing is predictable,” she notes. “I’ve sold a home to empty nesters who were downsizing, helped a family from Atlanta move into a house on Lookout Mountain and was a part of a young, newly married couple finding their first home together. With Fisher’s children living and working on opposite ends of the country – her son is in San Diego and her daughter in New York – she occasionally has a little free time on her hands. She fills it with any number of activities, including rowing, hiking and pickleball. Fisher also likes to garden at her home on Lookout Mountain. Still, Fisher spends most of her time seeking to understand her client’s needs, desires and priorities. This, coupled with a keen sense of attention to detail, are valuable assets in guiding her clients through each step of buying or selling a home.